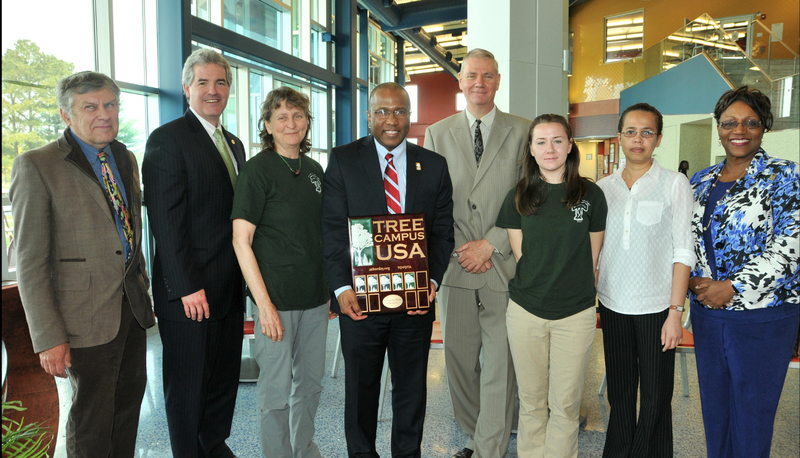 Delaware State University is a Tree Campus USA for the 5th straight year! What is the Tree Campus USA Program? Delaware State University is the only “Tree Campus USA” in the First State, an honor it has achieved for five consecutive years. Colleges and universities across the United States can be recognized as a Tree Campus USA college by meeting five standards developed to promote healthy trees and student involvement. How does my campus benefit? What can my college do to qualify?